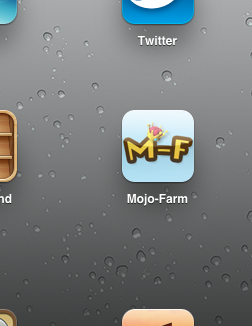 Here is how to add Mojo-Farm.com to the home screen of your iOS device for easy bookmarking. 1. 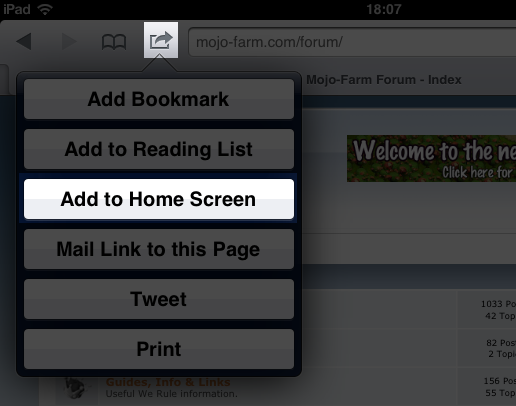 Navigate to the page you wish to add in Safari then tap the 'add' icon and select 'Add to Home Screen'. 2. 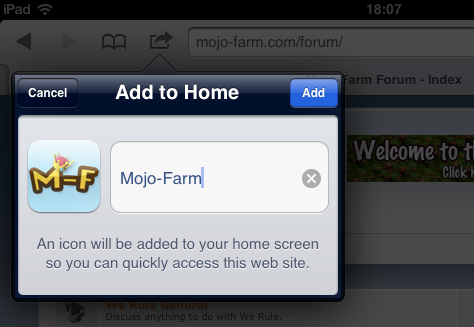 Type in the name you wish to use (Mojo-Farm/Forum/We Rule) and click 'Add'. 3. The icon will now appear on your home screen and can be dragged around and deleted in the same way as any other app. Also playing Dragonvale and Happy Street. How was living without this so long? How do you get the nice M-F icon? 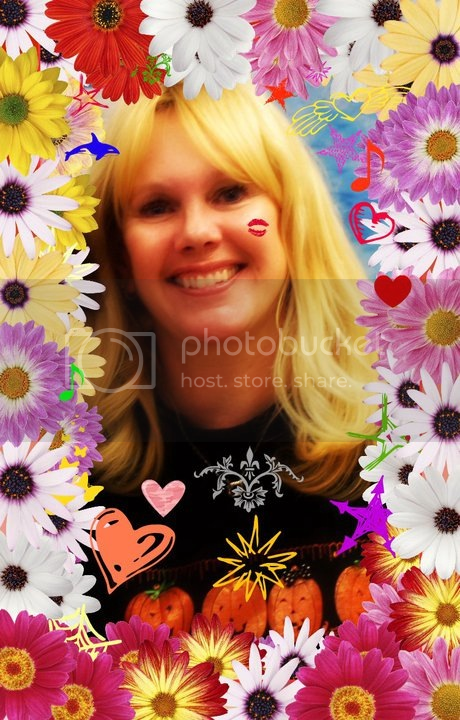 I get an icon that is a tiny screen grab of the M-F page. I apologize if this is a silly question. Mine is the same on my iPhone and iPad. I'm not sure if he just photoshopped it that way...but I know of a way if you have a jailbroken device and can access your weblinks folder. Nope, nothing's jail broken. It's alright though, I still like the bookmark icon. Thank you.